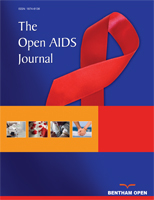 AIDS-associated Opportunistic Infections (OIs) have significant morbidity and mortality and can be diagnostically challenging, requiring invasive procedures as well as a combination of culture and targeted molecular approaches. We aimed to demonstrate the clinical utility of Next-generation Sequencing (NGS) in pathogen identification; NGS is a maturing technology enabling the detection of miniscule amounts of cell-free microbial DNA from the bloodstream. We utilized a novel Next-generation Sequencing (NGS) test on plasma samples to diagnose a series of HIV-associated OIs that were diagnostically confirmed through conventional microbial testing. In all cases, NGS test results were available sooner than conventional testing. This is the first case series demonstrating the utility of whole-genome NGS testing to identify OIs from plasma in HIV/AIDS patients. NGS approaches present a clinically-actionable, comprehensive means of diagnosing OIs and other systemic infections while avoiding the labor, expense, and delays of multiple tests and invasive procedures. Keywords: Human immunodeficiency virus, Acquired Immune Deficiency Syndrome, Opportunistic infections, Next-generation sequencing, Cell-free DNA, Toxoplasma gondii, Toxoplasmosis, Mycobacterium avium complex, Mycobacterium tuberculosis, Cryptosporidium. © 2019 Zhou et al.